Chang Ning Dekang Biological Technology Co., LTD.is a leading high-tech company engaged in technological development of pharmaceutical production and sales of raw materials, plant extracts, food additives, feed additives and fine chemical products. It was founded in 2003 and from the date it founded, it has successfully established strategic cooperative relations with many scientific and research institutions. Dekang insists on taking on technological innovation as a driving force but more importantly, taking the market demand as direction. Relying on rich technical resources, production and new product development capability of leading regional and international scientific research institutions, Chan Ning Dekang has cultivated it's own powerful team of over 1000 highly effective managers and staff. Under the strong support of Yunnan Province Government, the company has developed a state-of-the-art enterprise. While leveraging our advanced production base capability, independent research and development centers and staff of highly competent staff and managers, Chan Ning Dekang has assumed a strong leadership position in market. Chan Ning Dekang is also very proud of it’s who management team who possess advanced concept skills and a remarkable spirit of innovation. Our R&D team all possess master degrees or above and are equally very skilled. Dekang’s products consist primarily of pharmaceutical grade raw materials such as tomatoes, alcohol, coenzyme Q10, ginseng Rg3 saponins Rh2, etc. Our tobacco series products include flue-cured tobacco, spices and Oriental flavoring. Our electronic cigarette liquid (E- liquid, e-juice or smoking juice contains the finest natural ingredients and are sold primarily in Europe and the United States. Our quality control processes conform to highest domestic and international health and pharmaceutical standards. Chan Ning Dekang’s facility has more than 10,000 square meters of space; leveraging our state-of the art production equipment, advanced production technology processes and the strictest health management and quality control systems enables us to provide our customers with the highest quality and safest products in the industry. “Customer Service, Quality and honesty" are our basic principles. 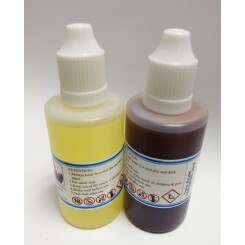 The genuine dekang e-liquid Propylene glycol e-jiuce with SGS 100% PG 20ml x 5pcs in one flavor. If you want "other flavors" please leave a message when you checkout. 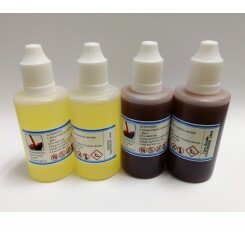 The genuine dekang e-liquid Propylene glycol e-jiuce with SGS 100% PG 10ml x 5pcs in one flavor. If you want "other flavors" please leave a message when you checkout. 100% PG 30ml x 5 Bottles in one flavor. If you want "other flavors" please leave a message when you checkout. The Original dekang e-juice Propylene glycol e-jiuce with SGS 100% PG 50ml x 5pcs in one flavor. If you want "other flavors" please leave a message when you checkout.